Written in easy-to-understand language, Profitable Day andSwing Trading + Website explains the trading tactics that drawon price, volume, and pattern recognition. Highly regarded traderHarry Boxer offers the information needed to recognize chartpatterns, identify trades, and execute entries and exits that willmaximize profits and limit losses. Boxer also reveals his conceptof price-volume surges as the key to identifying the most lucrativetrades. 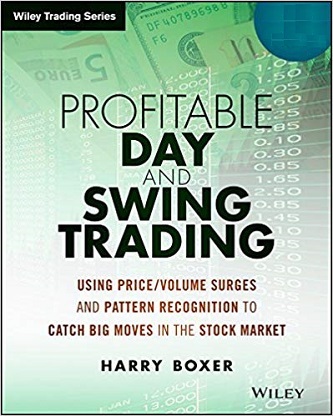 Throughout the book, Boxer describes his routine forpreparing for each trading day, selecting stocks to monitor, andhow he keeps track of prices and executes trades. Step by step, this indispensible resource provides thestrategies for opening range gaps, the breakouts, and thetechniques that have sustained Boxer during his storied Wall Streetcareer. Most notably, he reveals how to trade rising channelsfollowing an opening gap or high-volume breakout. Boxer also showshow his strategies can be applied for both day trading and swingtrading. For anyone who wants to tap into acclaimed trader Harry Boxer’swinning tactics, this book has it all.